MPB is designed for traffic safety assurance on low-density sections and is functional analogue of semi-automatic relay block system. arrangement of automatic block-post on the railway haul. Dependence logic for block-post is implemented by MPB controllers module not requiring any changes in hardware or software nodes. Basic advantage of MPB over relay analogues is the possibility of block-signals transmission not only via physical lines but also using digital transmission systems as VF-channel multiplexing equipment, fiber-optic lines or radio-channel. System ensures automatic redundancy of communication channels. ESSO wayside equipment (when railway haul is controlled using axle counting method). 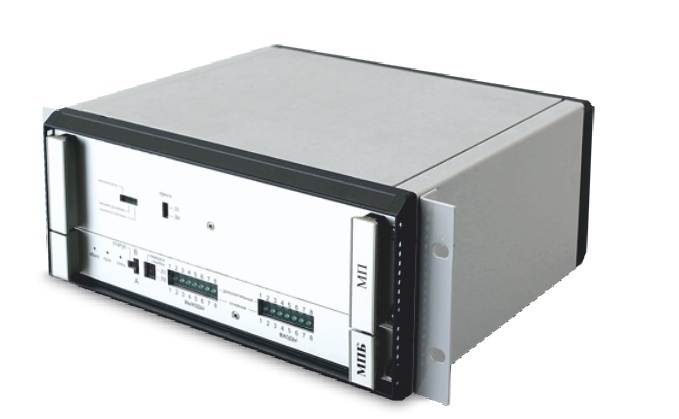 for the connection with digital signalling systems interface RS232/485 is provided using open protocol MODBUS.